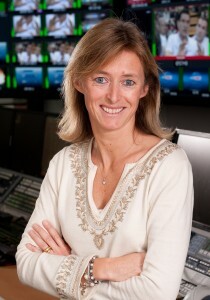 Géraldine Filiol joined the Eurosport Group in 1995 as a TV Rights Sales Manager, responsible for the development of a newly created in-house rights distribution agency. Her responsibilities increased until becoming Director of Acquisitions for the Group. In January 2006, she was appointed Deputy Managing Director overseeing all rights acquisitions & sales aspects for the Group, while being appointed to the executive management board. From 2008 to 2011 Geraldine also held the position of Managing Director of the Eurosport Events subsidiary alongside her Rights role. In May 2014, Geraldine was appointed Deputy Managing Director in charge of International Communications, Marketing and External Relations for the Eurosport Group. Aged 47, she graduated in 1988 from the University of Paris-Dauphine with a business administration degree, and obtained an MBA from the City University of New York, in 1990.